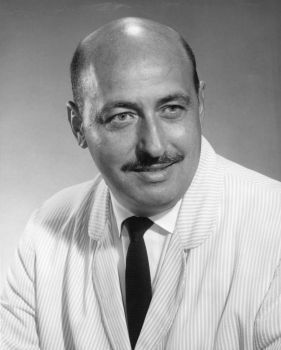 In the 1960's Philip Bono proposed a series of innovative designs that would enable airline-like access to space. His single-stage-to-orbit vertical-takeoff-vertical-landing concepts would have transported passengers to any point in the world in 45 minutes or less, deployed an entire battalion of troops to crisis zones, and powered single-launch expeditions to the moon and Mars. Despite this promise, government was only backing conservative approaches. It is only in the 21st Century that Bono's concepts are finally becoming reality, at the hands of private enterprise. Philip Bono was the second son of Giulio and Maria Culcasi Bono. They were immigrants from Trapani, Sicily, arriving at Ellis Island together with their first son Vito, on 7 January 1920. Philip was born just over a year later in Brooklyn, New York, where Giulio worked in a macaroni factory. Giulio was promoted to factory foreman, and the family moved by 1935 to Passaic, New Jersey, and then by 1940 to Norristown, Pennsylvania. Philip's first job was as a sewing machine salesman. He saw World War II service in the US Navy Reserves, graduating from USC with a degree in mechanical engineering in 1947. Bono found employment in the southern California aviation industry, first with North American Aviation, then Douglas from 1949 to 1951. This was followed by a move to Boeing in Seattle, where he remained until 1960. By the dawn of the space age Bono's decade of experience in systems analysis and structures design gave him new ideas on how to approach spaceflight. This was embodied in his audacious Mars Expedition plan of 1960. At this time the only precedents outside of the Soviet Union were those of von Braun and Stuhlinger, which involved dozens of launches to assemble a spacecraft in low earth orbit before heading out toward Mars. Through use of aerospike plug nozzle rocket engines and lightweight structures, Bono proposed a single-launch trip to Mars - no assembly and no nuclear propulsion required. Bono conceived of a modular all-Lox/LH2 booster little heavier than the Saturn V. The glider spacecraft, using Boeing's Dynasoar configuration, would be boosted directly toward Mars. On arrival, it would brake into the atmosphere directly after separating from a small habitat module and earth return stage. The habitat module would aerobrake into Mars orbit. After surface exploration, the forward part of the glider would boost into Mars orbit, dock with the habitat, then head for home. 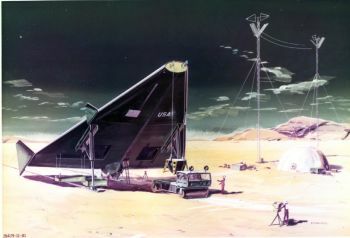 On arrival at earth the crew would ride the glider to a landing at a conventional airfield. First American on Mars - 17 January 1972. The study was ignored by NASA, where Harold Finger, the liaison with the Atomic Energy Commission, pushed a multi-launch, nuclear propulsion update of von Braun's Mars scenario. Lots of launches, stages, dockings, assembly, and expense were required. Finger represented the vested interests of two bureaucracies, and killed off all competitors to his NERVA program, including the Orion nuclear pulse vehicle and any non-nuclear solutions. In the end, his approach won the day, and killed the program. In 1969, Nixon and Congress, after reviewing this approach, canceled any NASA voyage to Mars on cost and safety grounds. Meanwhile, back in 1960, Bono was hired away from Boeing by Douglas Huntington Beach. There he found support for his innovative ideas. In these early years there were several study projects underway. Among them were Helios for combined chemical/nuclear launch vehicles; Nova for million-pound payload launch vehicles to succeed the Saturn V; and UMPIRE for manned Mars expeditions using those Nova boosters. Bono made trade-off studies to find the best configuration for these reusable launch vehicles. These included conventional cylindrical, conventional winged, lenticular, and ballistic shapes. His conclusion was that combining advanced Lox/LH2 propulsion and structures would allow single-stage-to-orbit, reusable launch vehicles. In particular, he found that a winged vehicle made no sense as a space ship. If required, a ballistic vehicle could divert laterally from the re-entry path by burning rocket fuel to change the orbital inclination. This required far less mass than dragging wings to orbit and back. Getting to the final conclusion took several design iterations - Helios, OOST, and ROOST, among others. It all came together in ROMBUS, Bono's 1964 design for a Nova-class booster. This introduced the innovative concept of using an aerospike plug-nozzle for propulsion to orbit, then using the same plug-nozzle as a heat shield for re-entry. The engine, in a low-thrust mode, created an aerodynamic sheath. Hydrogen cooled the base before being burned in the engine. The challenge in any SSTO design is whether the empty weight fraction can be kept low enough to take a significant payload into orbit, or even to get to orbit at all. The cold equations mean that any weight growth during development (as is normal) results in a rocket-age Spruce Goose, magnificent but useless. A Lox/LH2 vehicle, in the best conditions, would have to keep the empty mass plus payload under 14% of the launch mass. Bono typically assumed he could build the bare vehicle - including propellant reserves for re-entry, final braking, and landing gear - for around 10%. But if there was weight growth (and 20% growth is the minimum for most aerospace projects), it would quickly eat into the payload available. Throw in any off-optimal launch scenario - such as polar orbits, or due-west destinations - and the problem was compounded. Bono wisely hedged his bets by including jettisonable (but reusable) drop tanks in his design. This wrecked the purity of the approach, but made success more likely - and the tanks could be reduced or eliminated as the vehicle matured. Bono and Ted Brown's fabulous art team at (what was now) McDonnell-Douglas pushed a variety of uses for Rombus. These included: Ithacus - intercontinental battalion-level troop transport! Pegasus - intercontinental passenger rocket! Selena - Rombus on the Moon! Deimos - Rombus on Mars! But these were met with indifference by NASA. Bono tried to give the concepts more credibility by proposing SASSTO. This was an evolutionary approach, starting with a recoverable single-stage-to-orbit Saturn S-IVB stage to prove the concept. Thereafter the plug nozzle and other innovations would be introduced sequentially. Bono also proposed Hyperion, a down-sized intercontinental rocket transport that used a sled launch and eliminated the drop tanks. Finally, all these ideas were presented to the public in 1969 in a gorgeous little pocket book, Frontiers of Space. This mashed together Bono's ideas with an update on current manned spacecraft and technology by Ken Gatland. Again, nothing took hold. The basic problem was that Bono's ideas involved risk. Risk on a multi-billion-dollar program for government where the end result might not even reach orbit. Risk to passengers on a transport where, if the main engine gave out, they would crash to earth. When the time came for the shuttle competition, McDonnell-Douglas didn't even bother to submit a Bono design. However, through the back door, it happened. Chrysler proposed the Bono-inspired SERV design. Curiously, it's payload would be a McDonnell-Douglas MURP spaceplane. One wonders if there was a little back-door support by Bono of Chrysler's Charles Tharatt..
Bono continued working at McDonnell-Douglas for 18 years, but the company gave up promoting his ideas in the post-Apollo downturn. However whenever a need for reusable, low cost, high-volume access to space came up, his concepts emerged again in the hands of others. Throughout the 1970's and 1980's, Dietrich Koelle at MBB, Boeing, Edward Gommersall and George Detko at NASA, Gary Hudson, and finally Maxwell Hunter at Lockheed pitched designs. Many did not use Bono's plug-nozzle engine as a heat shield. Instead they relied on existing conventional rocket engines at the base, covered during re-entry. Maxwell Hunterr's solution was a heat shield on the nose. This was inelegant, causing some center-of-gravity issues during reentry and requiring a pitch-up maneuver prior to landing. But it did not require development of an aerospike engine (which was actually underway in the black world at the time). Finally, Bono's own McDonnell-Douglas received a contract for incremental development of the Delta Clipper to support the Strategic Defense Initiative (SDI). A subscale demonstrator, the DC-X, was tested successfully beginning in 1993, just after Bono's death. But the project died with the collapse of the Soviet Union and the rationale for SDI. NASA finally took a stab at SSTO in the 1990's with the X-33. This used an aerospike engine but was winged! Bono undoubtedly turned over in his grave. After the propellant tank collapsed in tests, the whole project did as well. It was a waste of $1.2 billion in taxpayer dollars, which sadly could have gone to flying a successful Delta Clipper. Only in the 21st Century would an internet billionaire have the money and clear-sightedness to implement Bono's vision. Elon Musk's Falcon rocket series has finally demonstrated rocket stage turnaround from ascent, return to base, and rocket braked landing. Musk plans to demonstrate reuse of a recovered rocket stage, and a single-launch journey of a human-capable space capsule to Mars and return. It may not be single-stage to orbit, total reuse, but it's very much in the spirit of Bono and his incremental approach to getting there. And it may well be that man finally gets back to Mars following Bono's original 1960 Mars expedition concept. DAC Helios American nuclear-powered orbital launch vehicle. 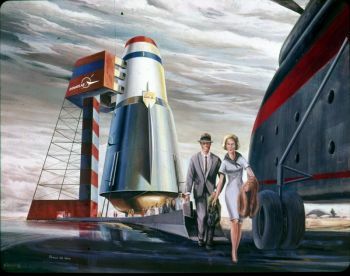 Douglas/Bono 1963 concept for a chemical-boosted / nuclear upper stage launch vehicle, designed as alternatives to the Convair/Ehricke Helios. The baseline version used a nuclear, recoverable upper stage boosted above the atmosphere by a minimum chemical stage. Nova-1 DAC American heavy-lift orbital launch vehicle. Douglas/Bono design for Nova using LOx/RP-1 in first stage, existing engines. Nova-2 DAC American heavy-lift orbital launch vehicle. Douglas/Bono design for Nova using LH2/LOx in both stages. Nova DAC ISI American heavy-lift orbital launch vehicle. Douglas/Bono design for Nova using LH2/LOx in both stages. Improved Specific Impulse chemical stage uses many engines feeding into single large nozzle. 1921 January 13 - . Birth of Philip Bono. - . Related Persons: Bono. 1993 May 23 - . 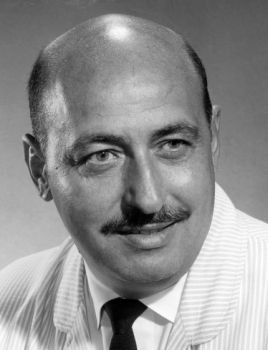 Death of Philip Bono. - . Related Persons: Bono.